Give yourself a relaxing massage! This is a 2 in 1 Vibrating Body and Scalp Massager, featuring 2 attachments for full body deep tissue massage and scalp massage. Helps promote hair growth and relaxes your entire body. Easy grip handle allows you to effectively massage your scalp and body. Requires 2 AA batteries (not included). Contains 2-in-1 vibrating massager, user manual and 1 year warranty card. 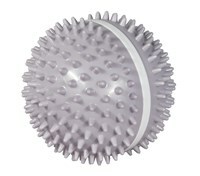 Massager measures 4 1/2 x 3 1/4 in. Attachment scalp massager head measures 4 5/8 x 3 3/8 in.